Accessing robust and applicable climate change and development data in an usable format for a range of topics is very difficult. While there is an ongoing proliferation of resources, information tends to be partial, fragmented, specialist and difficult to find and use. And although many organisations try to address this problem, few have the breadth of expertise to do it alone. This joint initiative between three knowledge brokers aims to advance the user demand-driven development, refinement and cross-linking between weADAPT, the Climate Information Portal (CIP) and AfricaAdapt – three well-established portals with large but different user bases. The Stockholm Environment Institute (SEI Oxford), the Climate Systems Analysis Group (CSAG) at the University of Cape Town, and the AfricaAdapt partners (ENDA, FARA, ICPAC) are applying a user-lab approach to put portal users, developers and content providers face to face to address these issues. 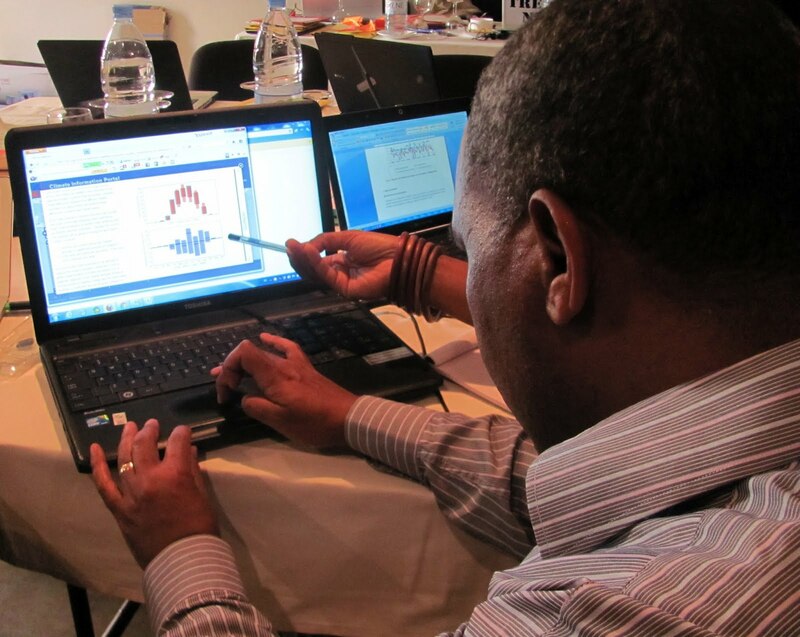 Working together, and supported by CDKN, project partners are applying the weADAPT knowledge base, tools and methods for vulnerability assessment and adaptation planning, together with the CIP climate data and climate analysis guidance to selected projects/case studies supported by AfricaAdapt. This will provide insights into the context-specific needs of particular user groups that can benefit from using and/or contributing to content across all three portals. Look out for exciting developments taking place in 2012 to link the portals more closely. These will be showcased at COP18.